Arrive early in Seattle, Washington and depart to the Evergreen State College Campus in Olympia, WA to visit the Longhouse Education and Cultural Center. 'The House of Welcome' (sgwigwia?ltxw), was the first building constructed on a public campus that is based on Native American traditions that exists to provide service and hospitality to students, faculty, visitors and the surrounding Native Communities. It's primary functions are to provide a gathering place for hosting cultural ceremonies, classes, conferences, performances, art exhibits, and community events. 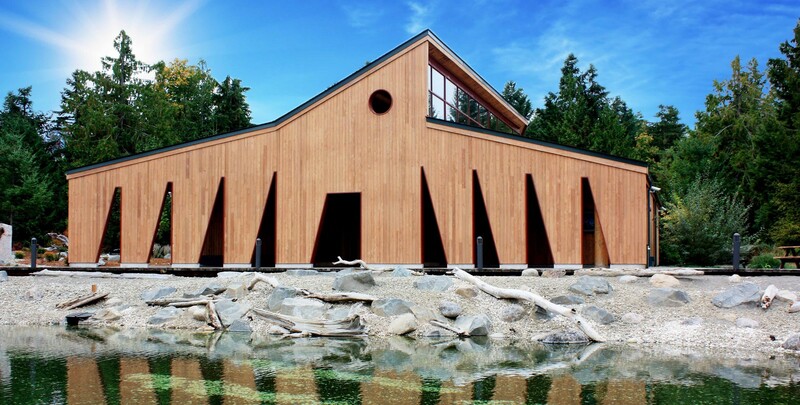 After the tour travel west to Shelton, Washington to visit the 'Home of Sacred Belongings' (kwedigws?altxw) - The Squaxin Island Museum Library and Research Center to explore the past and present stories of the Squaxin Island Tribe. There you can walk through the 'Hall of the Seven Inlets' a permanent exhibit which depicts the relationship between the people and the seven watersheds of South Puget Sound, as well as, learn about the history, traditional legends and Native language. End your day by staying at the Little Creek Casino Resort, just 10 minutes away from the Squaxin Island Museum. Hit the road early in the morning and drive to the Quinault Indian Nation to visit / stay / play at the Quinault Beach Resort & Casino and enjoy breathtaking views while dining at Emily's Oceanfront Restaurant. For exclusive Eco-tourism excursions, contact Capoeman Bro's Guides, a local Native American owned and operated sport & recreation guide service. Just a few minutes away, visit some local shops and beautiful views of the North Jetty in the city of Ocean Shores. Ocean Shores is a small coastal city in Washington State and is known for its long Pacific beach and network of navigable lakes and waterways. Just north, the shore pine trees and dunes of Ocean City State Park are a haven for migratory birds. South, Oyhut Wildlife Recreation Area and Damon Point are nesting sites for snowy plovers and the North Jetty has views of the city of Westport, across Grays Harbor to the south. 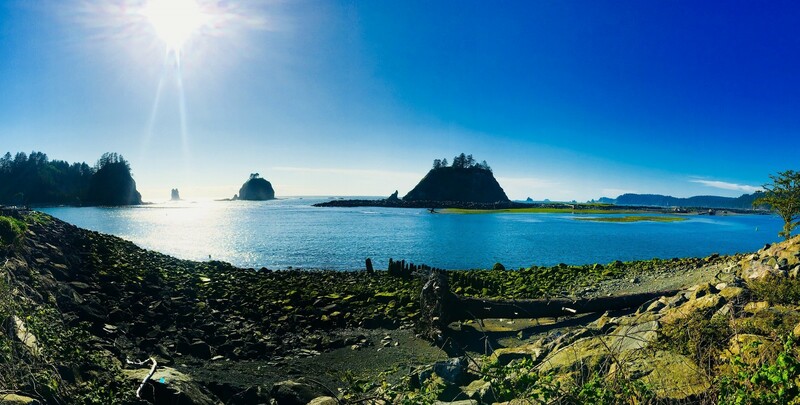 After your stop, travel North along the Coast to visit the Quileute Indian Nation to visit, explore and stay at the Quileute Oceanside Resort in La Push, Washington. Those who visit La Push, come for whale watching in the Spring, surfing, fishing and hiking in the Summer and storm-watching in the Fall and Winter. Dine at the Rivers Edge Restaurant overlooking awe-inspiring ocean views, one of many locations, where the movie series 'Twilight' was filmed. To end the day stay at Forks Motel, only 20 minutes away from the beaches of La Push.